This image is a true AI human collaboration. 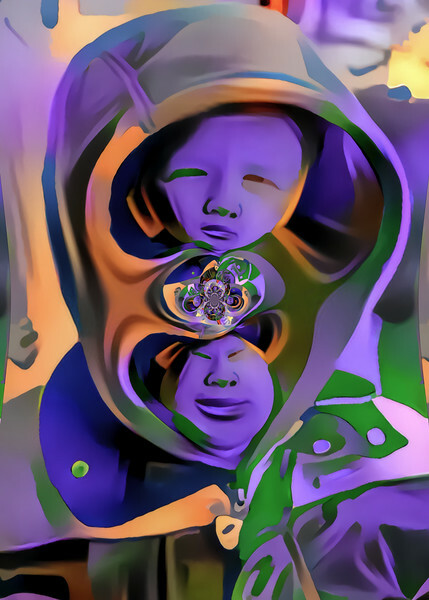 I took a black and white portrait of my son and used the Deep Dream Generator to style it with one of my opposite color image hacks. The resulting generator image was good but by applying a conformal map to the center it took on an altogether pleasing aspect.